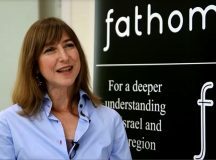 Fathom – IsraelVotes2019 | Towards a consensus on National Security issues? 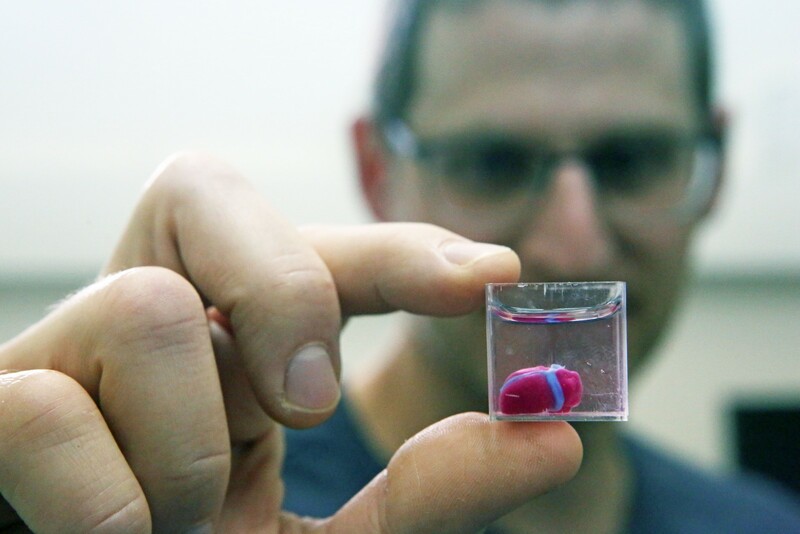 Fathom > March 2019 > IsraelVotes2019 | Towards a consensus on National Security issues? 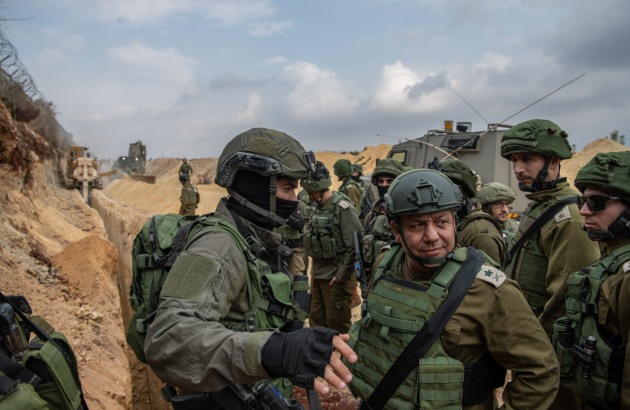 Former IDF Chief of Staff, Lt. Gen. Gadi Eisenkot on the first day of 'Operation Northern Shield' to neutralise Hezbollah tunnels on the Lebanese border, 13 January 2019. Image from Twitter. To what extent is the current Israeli election campaign dominated by national security issues, as has historically been the case? Jonathan Spyer argues that a new consensus over national security issues is emerging in Israeli politics that stretches across the political spectrum, leading the main parties to focus on the different personalities, and not the different policies, of the parties. A time worn truism holds that Israeli elections, and Israeli political debate in general, are dominated by issues related to national security, which centred around the advisability of ‘land for peace’ with the Palestinians, as well as similar questions regarding other neighbouring adversaries, most importantly Syria, following the conclusion of peace with Egypt in 1979. It was also commonly asserted that Israel was bitterly divided on these matters into two camps of roughly equal size. To what extent does such a depiction still hold? Is the current Israeli election campaign dominated by national security issues? Is the Palestinian question still salient and central? And how does the debate between the leading parties and camps divide on these issues, if they are still dominant? A couple of important points should be noted at the outset: firstly, it is without doubt that questions of Israel’s external relations and security questions are still salient in Israeli political debate. Attempts (primarily on the Left) to refocus the debate onto socio-economic issues in recent years – for example during the period of leadership of the Labor Party under former journalist Shelly Yachimovich in 2011-2013, and under former Histadrut leader Amir Peretz in 2005-7 – did not have the desired electoral affect. The Israeli public still primarily seeks a leadership it perceives able enough to provide security. The interesting element of the 2019 campaign is that while ‘security’ and the perception of a credible stance of security remains the key attribute to which parties wish to attribute themselves, there is in fact an absence of deep and substantive difference on the main issues comprising Israel’s challenges in this field among the major parties contending the election. This absence leads to a lack of focus on substantive security issues and instead efforts by each party to portray the other as untrustworthy and lacking integrity. firstly, the strategy of the Islamic Republic of Iran intended to result in the dissolution of Israel as a state. This is to be achieved through a combination of a long hybrid war waged partly directly by the Islamic Revolutionary Guards Corps (IRGC) and partly via the sponsoring of irregular and semi-regular paramilitary proxies on Israel’s borders, such as Hezbollah in Lebanon and Islamic Jihad among the Palestinians, neighbouring regimes hostile to Israel (such as Assad in Syria), and the Iranian missile and nuclear programs. Secondly, the security challenge of Hamas-controlled Gaza, and of the unresolved conflict with the Palestinian Arab national movement. Yet despite the serious, even potentially existential nature of these two threats, the 2019 election campaign has not been characterised by any impassioned debate on substantive issues within them. This is due to an almost complete consensus between a broad mass of the Israeli (Jewish) public on the first issue, and a decline in the level of polarisation within the Jewish voting public over the last two decades regarding the second. 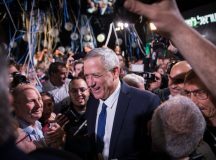 Regarding Iran, former IDF Chief of Staff Benny Gantz, leader of the Blue and White list, which forms the main challenger to the ruling Likud party in the 2019 campaign, has made clear that there are no disagreements between himself and Prime Minister Benjamin Netanyahu on the question of Iran and the threat it poses. The consensus, however, goes beyond the rightist Likud and centrist Blue and White party. Labor and Meretz, representing the centre-Left and left-wing spots on the political map, are similarly supportive of the government’s stance on Iran. 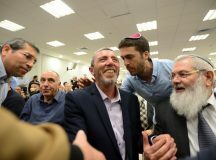 Right-wing parties such as Yisrael Beiteinu and HaYemin HaChadash (the New Right) have avoided criticising the government also, as well as refraining from the demands for greater militancy that characterise their criticisms of the government’s performance on the Palestinian issue. Even the Joint List, which represents Arab Israeli citizens and united Arab nationalist, Islamist and far Left trends, has tended to remain silent on the issue of Iran, expressing neither support nor criticism for Israel’s stance (though elements within it, specifically in the Arab nationalist Balad party are clearly supportive of the Bashar Assad regime in Syria). In the past, the Joint List declined to take up two available places on the Knesset’s Foreign Affairs and Defence Committee, indicating that it preferred to focus on domestic issues. For the 2019 elections the Joint List has separated into its component parts, with Ahmed Tibi and the Ta’al list set to run together with Hadash (the Israeli communist party) while Balad and Ra’am (the Islamist ‘United Arab list’) will also run together. Regarding the Palestinian issue, the situation is not as straightforward. Between 1967 and 2000, but particularly in the pre-1990 period, the Israeli political debate was characterised by very deep polarisation centrally over this issue. The left-wing position, as exemplified in Labor, Mapam, Ratz and later Meretz, held that territorial concessions in the West Bank and Gaza were necessary for the achievement of peace and a secure future for Israel. The preferred recipient of these concessions changed from Jordan to the Palestine Liberation Organisation (PLO) in the course of the 1980s. On the Right, the Likud and the far-Right nationalist parties opposed any such concessions on both security and ethno-nationalist grounds, on the basis that the lands captured during the 1967 Six-Day War constituted a part of the Jewish patrimony, and hence could not be conceded. They aslo argued that the ceding of these lands would involve an unreasonable risk to the security of Israel’s citizens. In the subsequent period, however, this debate has lost much of its passion. On the Left, the belief that a partner for historic compromise had been found in the PLO lost many adherents after the collapse of the peace process and the commencement of Palestinian insurgency in late 2000. On the Right, the fervent and ideological commitment to avoidance of any land concessions west of the Jordan River also faded. This has been reflected in the 2019 campaign. The main contenders – Likud and Blue and White, are clearly competing for the centre ground. Yair Lapid, second on the Blue and White Knesset list, gave an interview with Israel’s Channel 2 programme ‘Meet the Press’ on 23 February where compared his list with the traditional Likud, seeking to cast the current Likud as a far-right party and his own as a ‘national, liberal’ list. 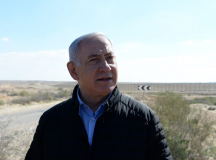 Netanyahu and the Likud, meanwhile, have so far portrayed Blue and White as ‘weak’ and ‘leftist’ in their election campaigning, hinting that their rivals favour a return to a policy of unilateral withdrawals west of the Jordan River. This in turn is denied by Blue and White, despite the fact that a US proposed peace plan appears to be rolled out very soon, and thus substantive public debate on issues related to this might be expected, although this has not taken place. Towards a consensus on National Security? The emerging result from all of this is an election campaign somewhat void of content and policy substance in the security field. The central issue instead is one of personalities and ‘fitness to govern,’ with the opposition focusing on the prime minister’s legal travails and the coalition seeking to present Gantz as weak and indecisive. But the personalisation of the debate and the absence of substantive discussion on security matters are not only or mainly symptoms of a more general impoverishment of public discourse. 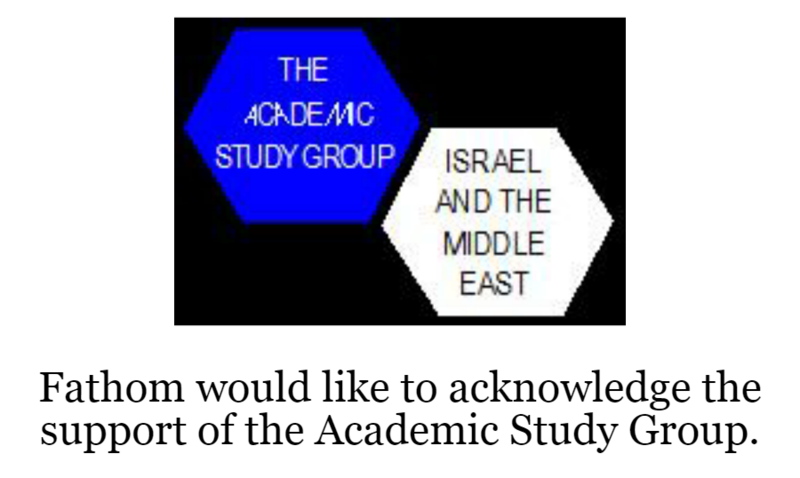 Rather, they relate to the emergence of a large consensus on key matters of national security in the Israeli centre. The near convergence of the main parties on these issues is then disguised by an absence of focus on them, and instead a focus on the personalities leading the main parties, along with attempts of each to create the impression that the other is the one which deviates from this consensus – either in the direction of the ‘Left’ or the ‘far-Right’. For this reason, there has been much focus from each side on efforts to associate Netanyahu and the Likud with the far-Right (because of Netanyahu’s efforts to unite radical Right forces in order that the rightist bloc would not waste votes), versus allegations by the Right that Gantz’s list might end up relying on the forces of the Arab parties, including Arab nationalist and Islamist MKs, in order to achieve a working majority in parliament. The passions raised on such issues serve to conceal the key point – namely, the large amount of policy convergence that exists between the main parties in Israel on key matters of national security.